I'm raising £1,030 to the project of volunteering with Wildlife Sense in Kefalonia, Greece in September. The sea turtle eggs were suffered and destroyed by both human and natural threats. This project is to protect the endangered sea turtles and collaborate with the local and national authorities. It is an amazing volunteering opportunity to do something good for the environment and gain a special experience. In order to make the goal a reality, I need to raise £1,030 to cover the cost of the trip. I am SHI TING ZHANG. I am a second year student in the Essex Business School. I love travelling and supporting environmental protection. I would like to be a part of Wildlife Sense international team and help the endangered sea turtles. This project aims to protect and preserve the vulnerable baby sea turtles that hatch on the beaches of Greece. I will search the turtle nests and make sure they are in a safe circumstance. I will also help the young turtle hatch to safely crawl to the sea. In order to protect them from natural damage, I will do the environment studies of light pollution and ecosystems. 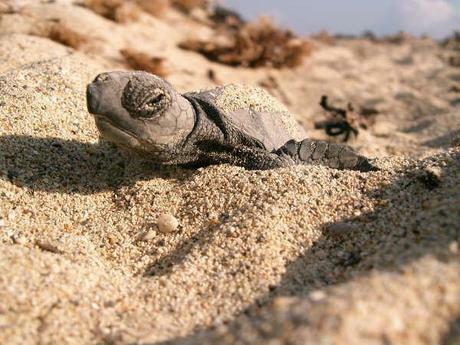 All the works we do are aimed to protect the endangered turtles and remain the biodiversity of the world. I need the money to cover the training, transports, food, accommodation and other expense. I would like to do something for the environment, but I need your help. It is a good way for donors to take part in a conservation effort. If £880 is raised,the extra £150 will be to cover fluctuating flight and kit costs. If I raise more than the total amount, I will join another volunteering session and purchase better quality kit for other research activities. As a thanks, I have some great rewards on offer to all those who donate. You can check them out on the right hand side. Follow my Facebook, Instagram if you want to know more updates about Wildlife Sense Project. Help me to help the environment ! Any donation would be hugely appreciated. Please share this project with anyone you think would support me! Help me to help the environment! Let's help the sea turtles and better this world.